Make access to all your digital channels easier for your customers with a highly secure and user-friendly means of authentication and authorizing operations - a simple mobile app for iPhone and Android. Fast and convenient payments are a must-have for modern banking services as today’s tech-savvy customers are ever more demanding. At the same time, both security and regulatory compliance must not be compromised. With the Wultra Mobile Token, a simple app for iOS or Android, signing in or approving a payment is a breeze. A secure and PSD2 compliant breeze. Read how Wultra Mobile Token helps with the PSD2/SCA compliance. Customers can choose the most convenient way to enrol in Mobile token – be it via Internet banking, by visiting a branch or ATM, or via hardware authenticator. 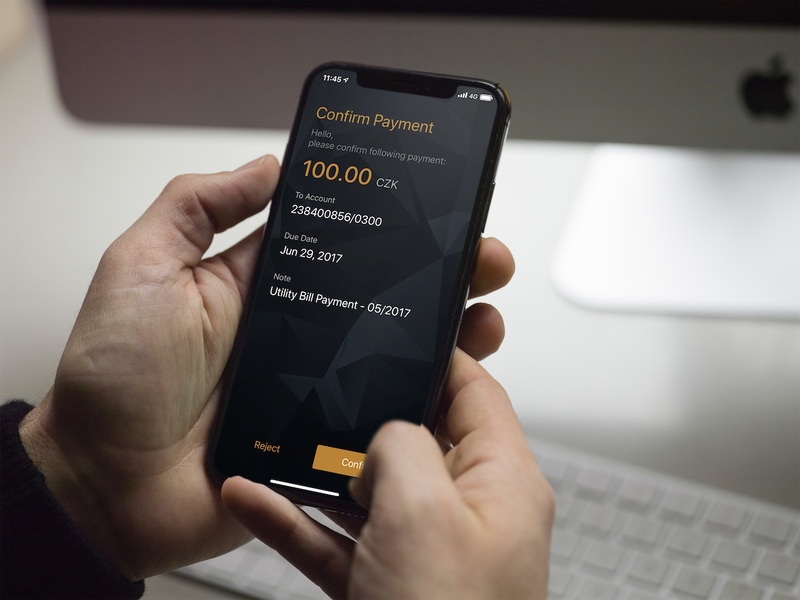 The app displays all the details of payment or operation the customer currently approves to provide the maximum level of convenience and security. In case a suspicious payment arrives, a customer can instantly reject it and let you know what is wrong. This way, you can react fast and make sure everything is OK. Your customers can confirm the payments using a short PIN code or with biometry. For the low-risk operations, only a simple tap is required. When off-line, your customers can scan a QR code from the screen and rewrite a one-time approval code. The Mobile token app is protected by industry-leading App Shielding technology. You can make the mobile token app yours by incorporating your brand.